Coolabah are recognised within the industry as second to none in terms of landscape construction. Collectively; our team boasts in excess of 200 combined years of experience. We are Registered Building Practitioners with the Victorian Building Authority VBA, proud members of Master builder association of Victoria and an active member of the Landscaping Victoria (LV). As a Registered Building Practitioner, Coolabah is able to provide a comprehensive construction solution to our clients. 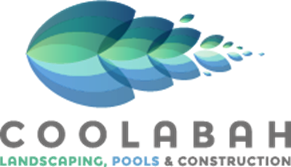 Coolabah are experts in the construction of, modern, native, formal, informal, water wise, educational, traditional gardens along with pool design and construction. We offer meticulous attention to detail and precise construction, with an integrated approach to enhance your lifestyle and leisure time. We have extensive knowledge in all facets of landscape and pool construction.